We are a unique entity in this industry, actively engaged in offering a premium quality array of Designer Bathroom Set. 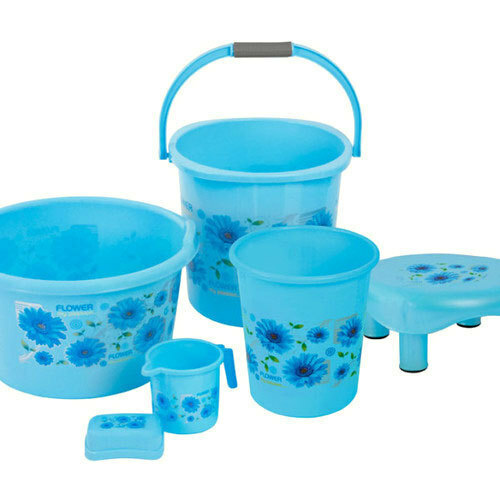 Established in the year 1986, we “Zanoo Plastics Industries” are engaged in manufacturing and exporting an extensive range of Laundry Basket, Plastic Basket, Waste Paper Basket, Plastic Bucket, Bathroom Set, Plastic Basin, etc. We provide these products under the brand name Navik and New Captain. Situated in Ankleshwar (Gujarat, India), we are a Partnership firm offering a high-quality range of products. Under the far-sightedness of, “Mr. Altaf” (Manager), we have been able to satisfy varied needs of our clients in an efficient manner. Plot No. 7116, G. I. D. C.